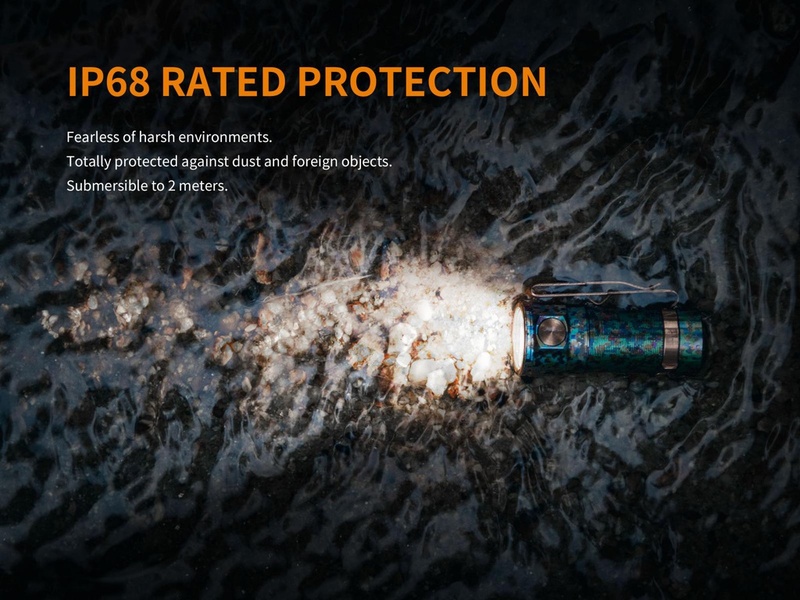 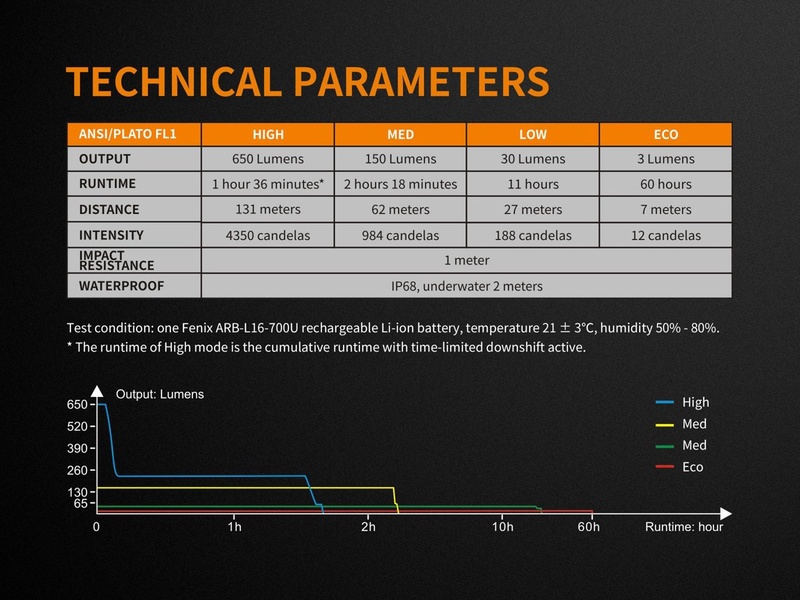 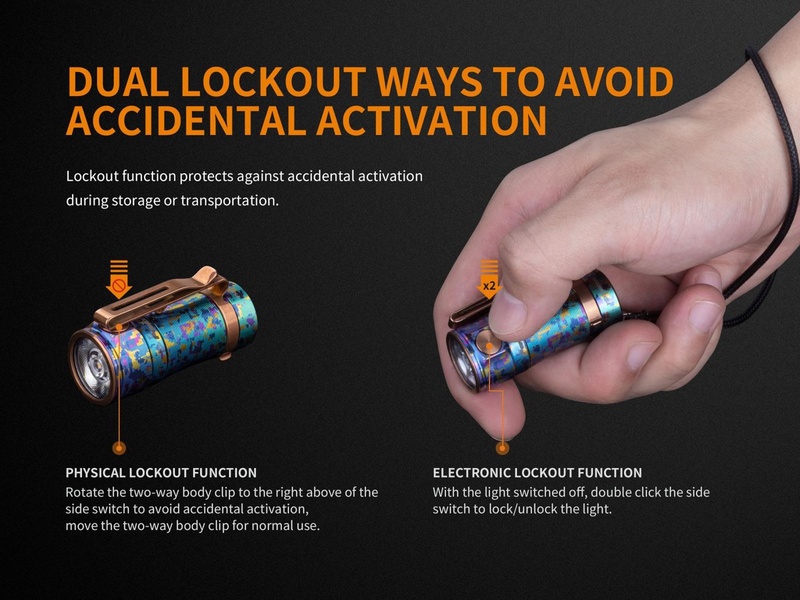 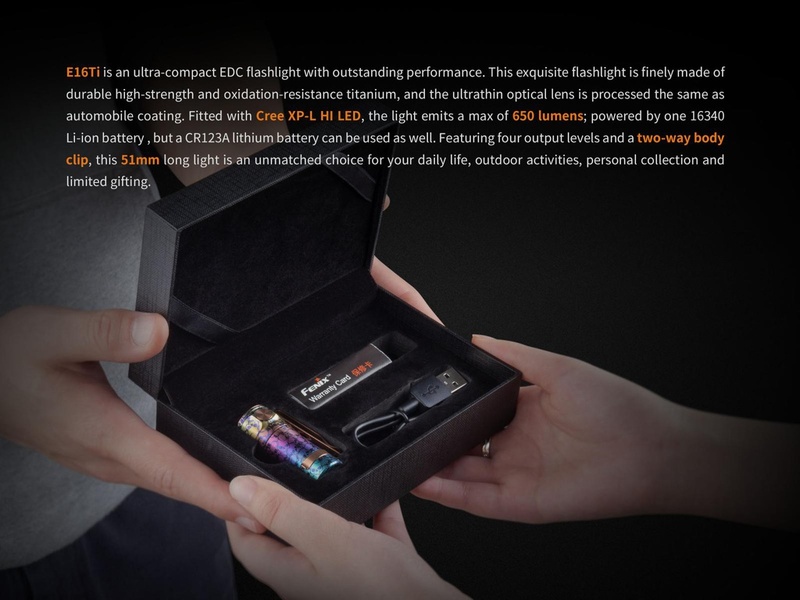 E16Ti is an ultra-compact EDC flashlight with outstanding performance. 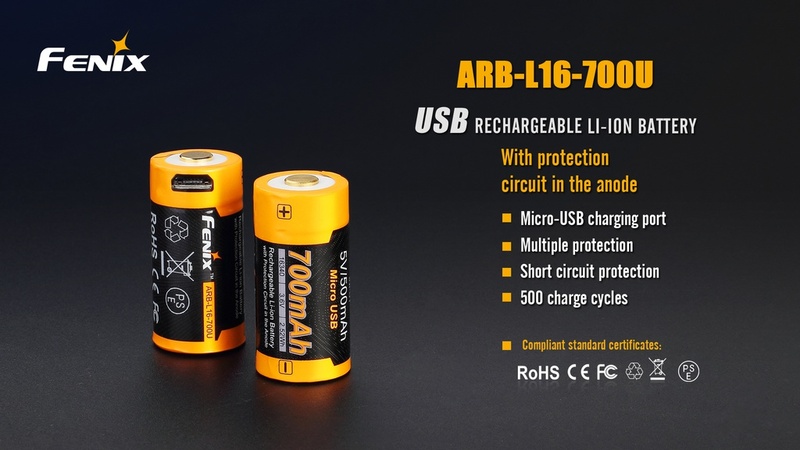 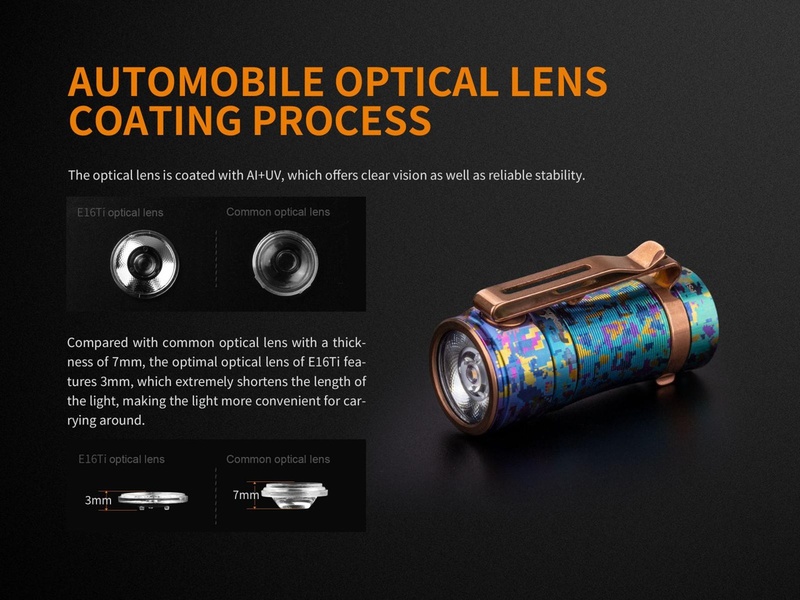 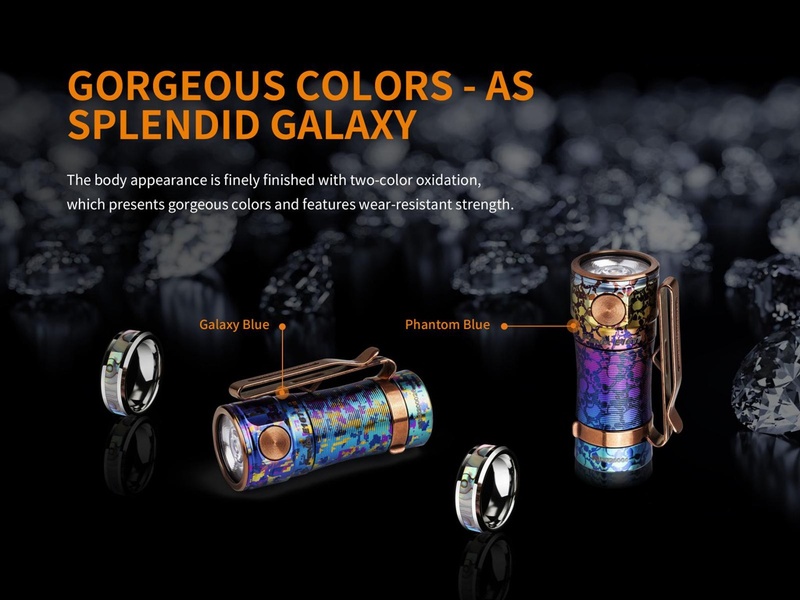 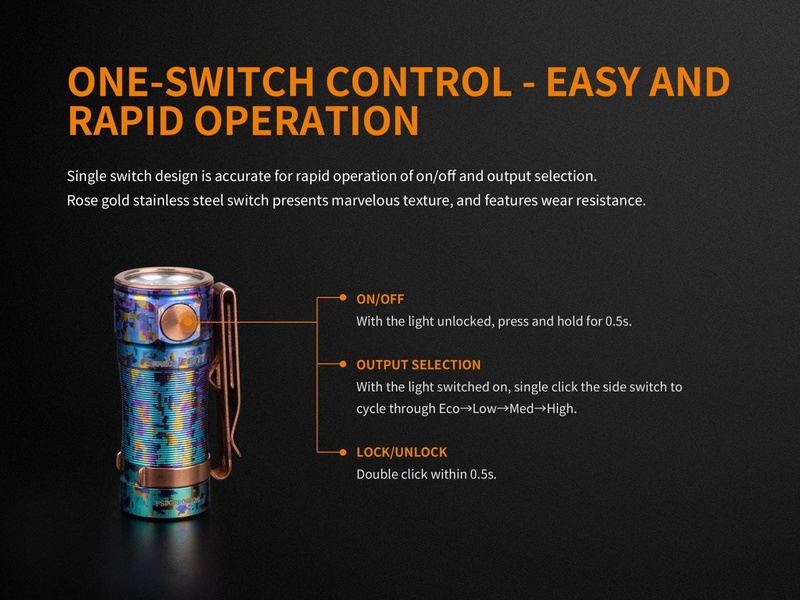 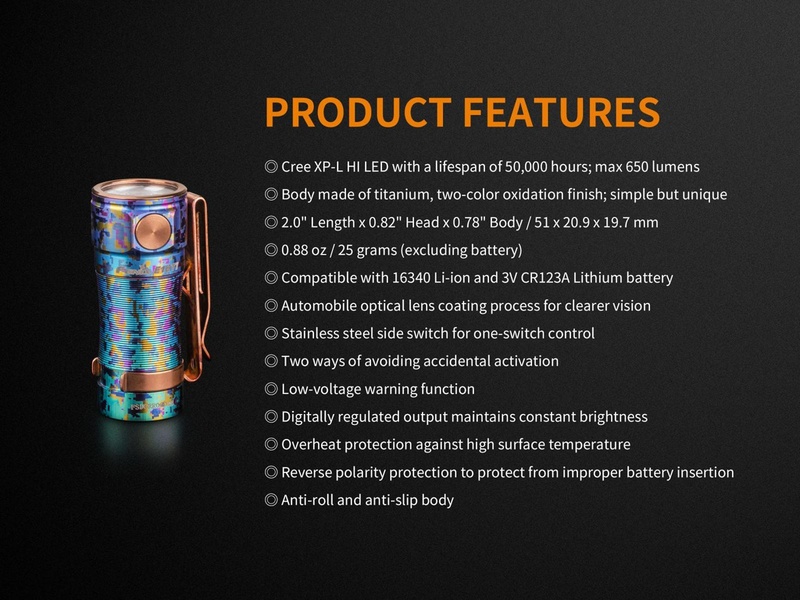 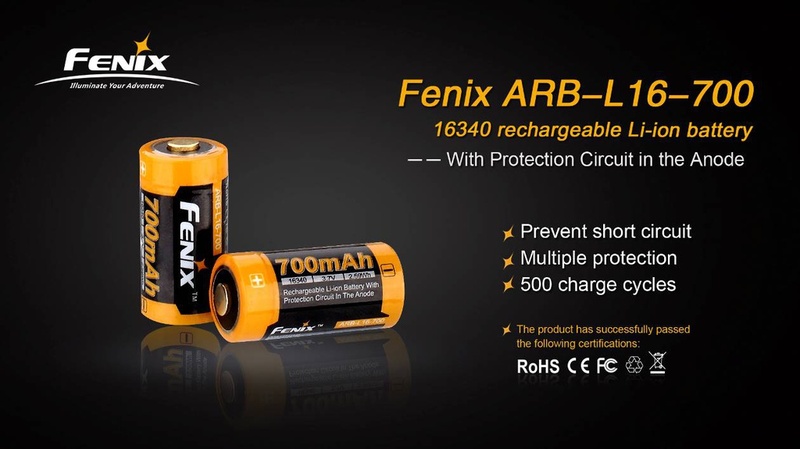 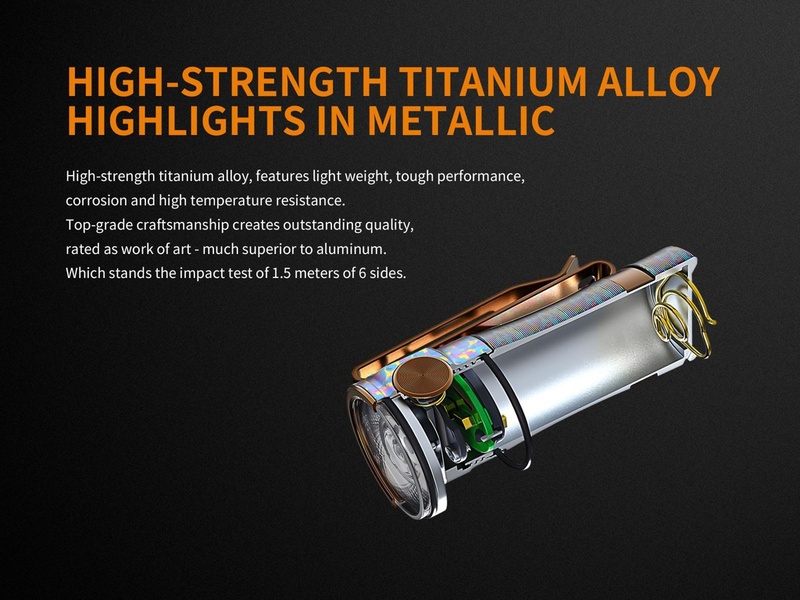 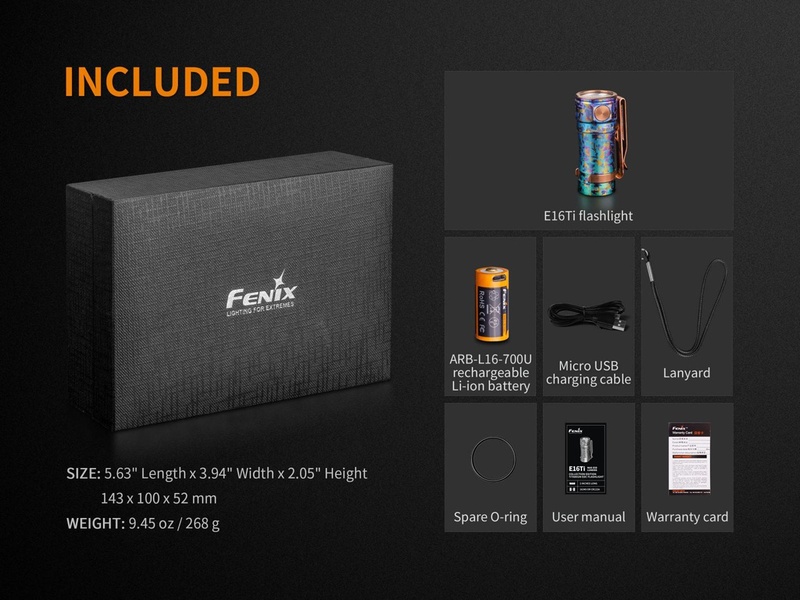 This exquisite flashlight is finely made of durable high-strength and oxidation-resistance titanium, and the ultrathin optical lens is processed the same as automobile coating. 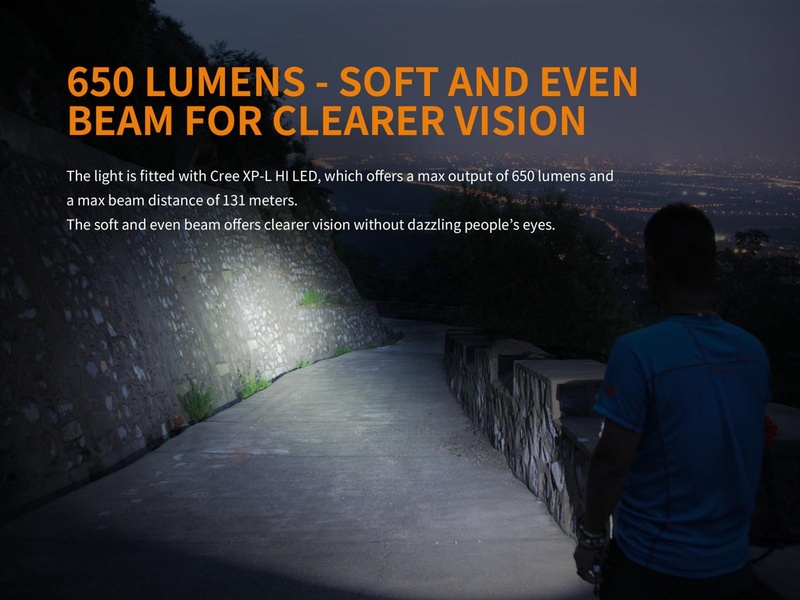 Fitted with Cree XP-L HI LED, the light emits a max of 650 lumens; powered by one 16340 Li-ion battery , but a CR123A lithium battery can be used as well. 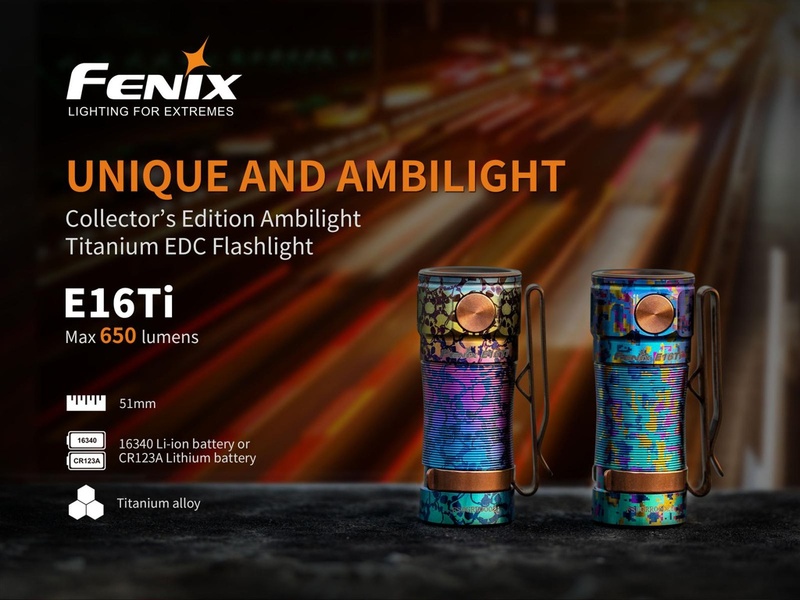 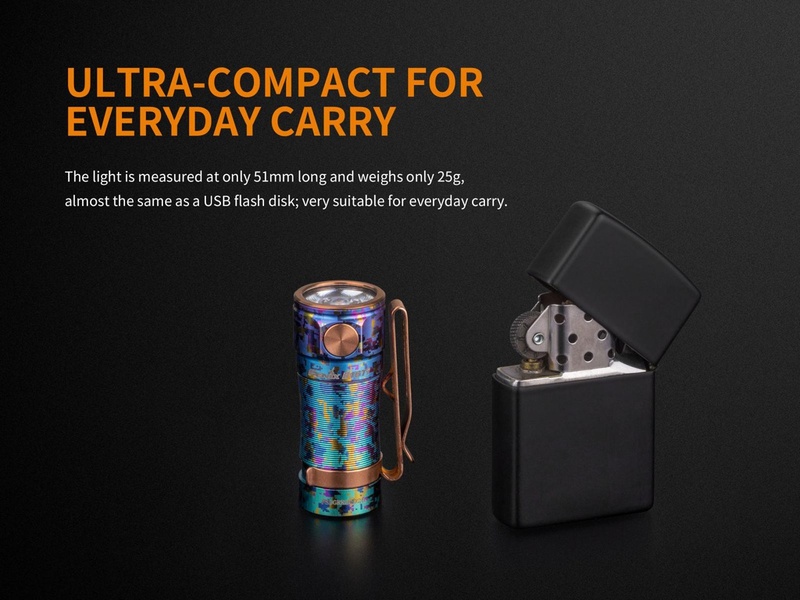 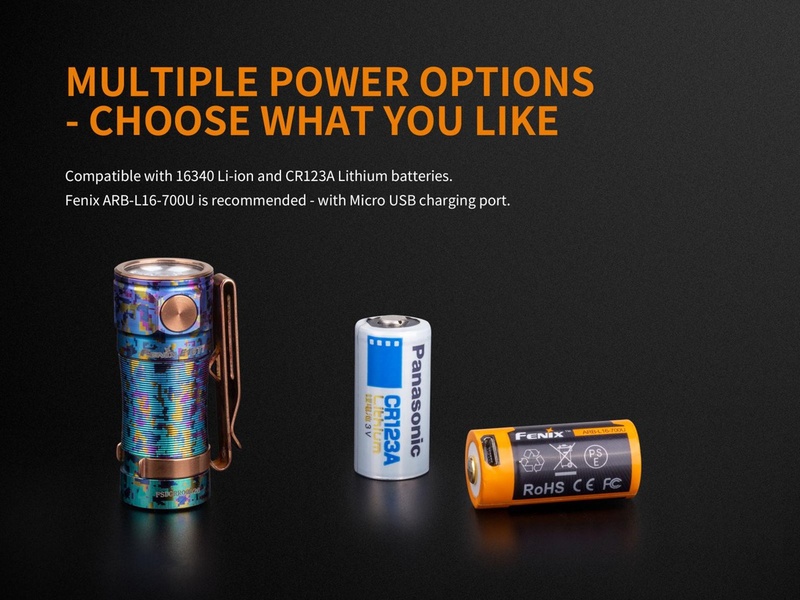 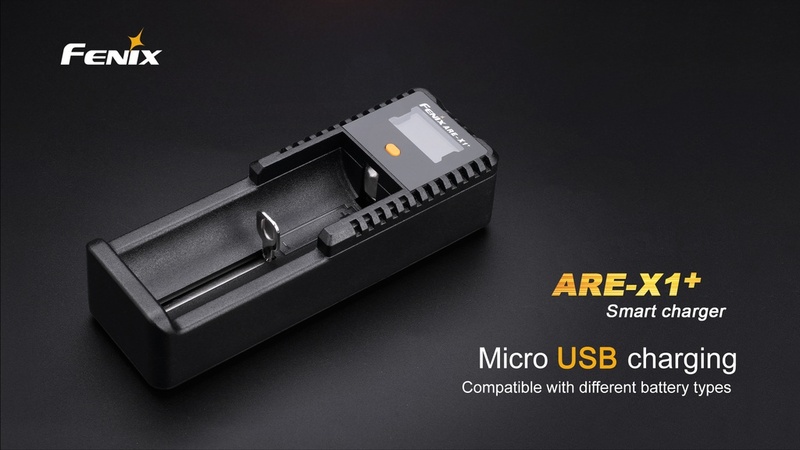 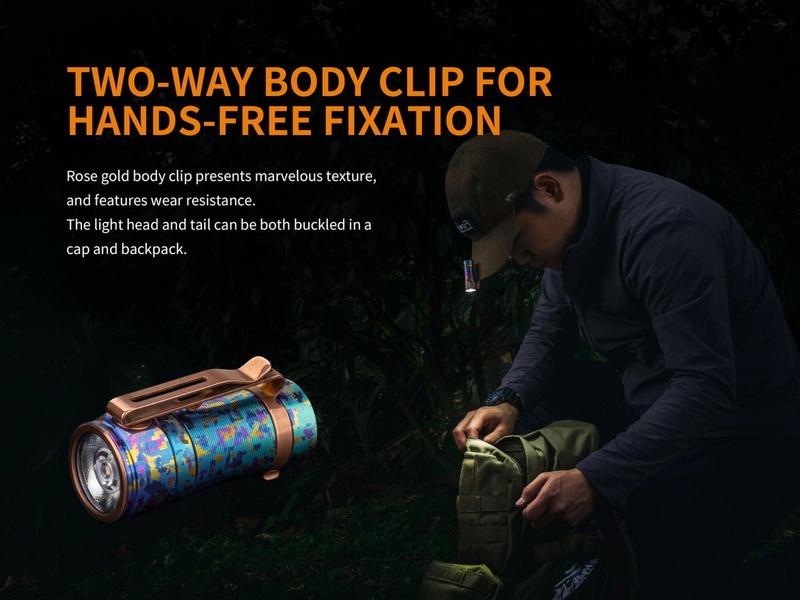 Featuring four output levels and a two-way body clip, this 51mm long light is an unmatched choice for your daily life, outdoor activities, personal collection and limited gifting.